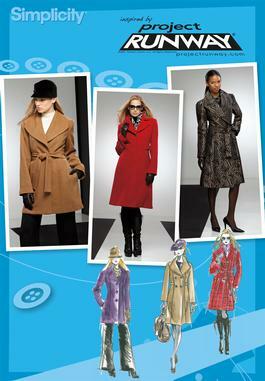 This entry was posted in Coats, Fitting, Muslins, Sew Alongs, Sewing, Sewing Machines, Simplicity. Bookmark the permalink. Lookin’ good so far! A transitional coat is on my docket too. Awesome! Is the heavyweight muslin not too stiff? 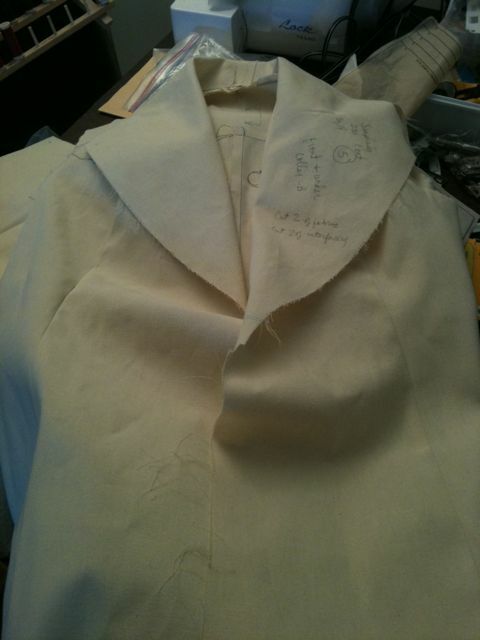 I’m using a twill for my Lady Grey muslin, which seems too soft, but I felt like the heavyweight would be too stiff. Thanks! Love your coat! It looks great so far! I wish I could find a sewing friend that lived close to me! I think you would be the perfect neighbor! Glad to hear there are no major fitting issues. I recently acquired that pattern. The coat sounds lovely and how wonderful that it fits you so well already. Looking forward to seeing that purple fabric! Of all the things I have sewn, I have yet to make a coat for myself. I can’t wait to see how your’s turns out- I think it will be fabulous! I hope you get your machine problem fixed- that is the worst when the machine stops all progress, ugg! I think your coat is going to be wonderful. I’m making a purple coat too. Congratulations on getting a really close fit on the first go round. Elizabeth, this may be something you already know. But, your “new” machine problem sounds like one I had when I got my Emerald about a year ago. I have had both Singers and a Kenmore in the past. I set up my new Emerald using one of my old bobbins and started with such enthusiasm. The next thing I know the machine stops, thread tangled. After repeated attempts without success, I thought I must be doing something wrong. Lo and behold, it wasn’t me or the machine. The bobbins from my old machines are not the same size as the bobbins needed for the Emerald. Even though to look at them you would never know that. Is it possible that you are using a bobbin of the wrong size/type in your new machine? I sure hope you get it figured out. I know the disappointment you are feeling. Hope your machine works better soon. Can’t wait to see more of the coat.